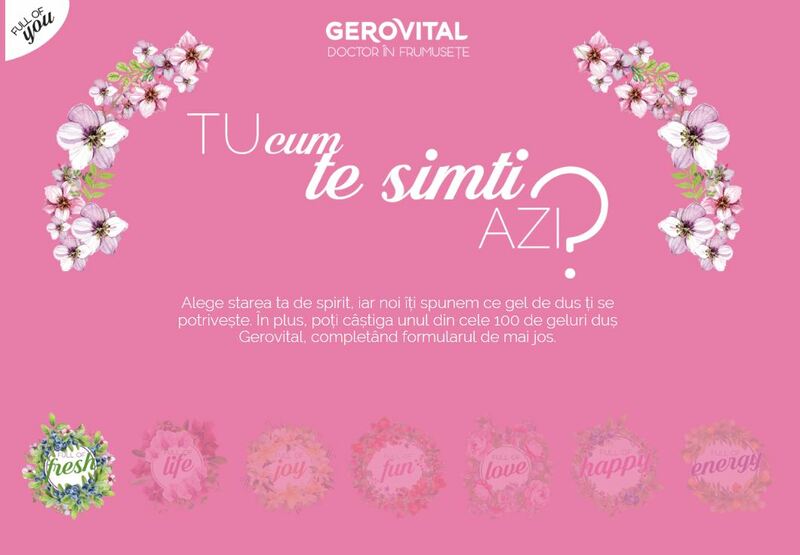 Brief: Gerovital had launched a new line of shower gels. Natural ingredients, intensely moisturizing and with a specific perfume for each mood. They needed us to make this new line as loved and used as their main creams they are known for. Concept: Keep the shower gels main idea – one scent for each mood – and take it a step further. Create special content for each mood, that feels tailored for every reader and every mood they might experience throughout their day or week. If you feel full of fun, then we’ll recommend places you can go to, shows you can see, and books you can read that go with the way you feel. Delivrables: Special website with interactive design (includes concept and copy, design, coding, management), 35 articles (heavily researched, carefully crafted), contest (mechanism, management), native advertising, promotion.